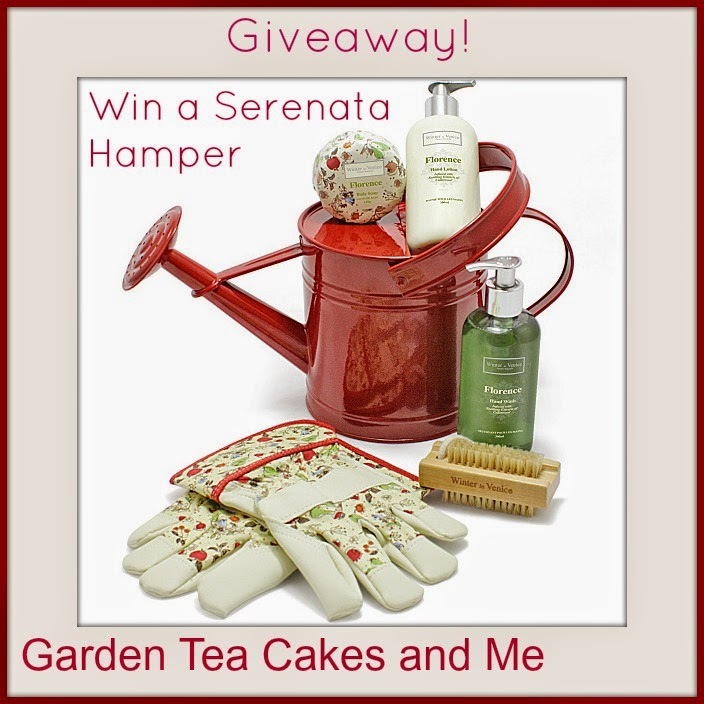 Serenata Flowers are offering one of my blog readers the chance to win a Pamper Hamper. The perfect hamper for a garden lover, it includes a watering can and gardening gloves. Along with a few toiletries for those times you end up with grubby gardening hands, a nail brush, hand wash, hand cream and a bar of body soap. Closes 19 June 2015. Winner must respond within ten days of being notified, after which time a new winner will be selected. UK entrants only. For Terms and Conditions click the link on the Rafflecopter widget. All entries will be verified. I've just reviewed their Time for tea hamper, which we enjoyed very much.